Taplow Village, Buckinghamshire circa 1911. Taplow is a village between Burnham and Maidenhead. Down the road we can see the marvellously named Oak and Saw pub, thankfully still there. One of those rare postcards where the modern view is just as pretty as it was a hundred years ago. 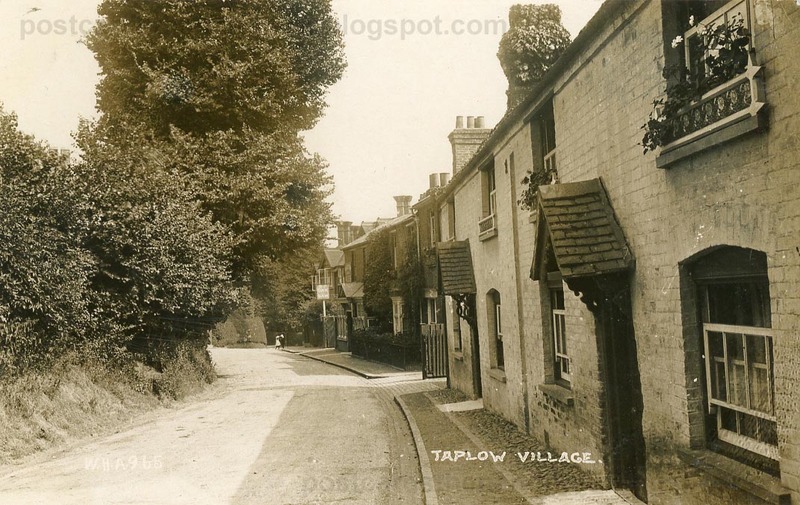 The publisher is a little difficult to determine, the caption on the right saying 'Taplow Village' is classic Young & Co, but on the left there is faded text saying 'WHA 965', so this is likely a Young and Co republished by WHA. It makes me want to visit England someday!